Very few people actually enjoy spending hours upon hours organizing their belongings (except maybe Marie Kondo). 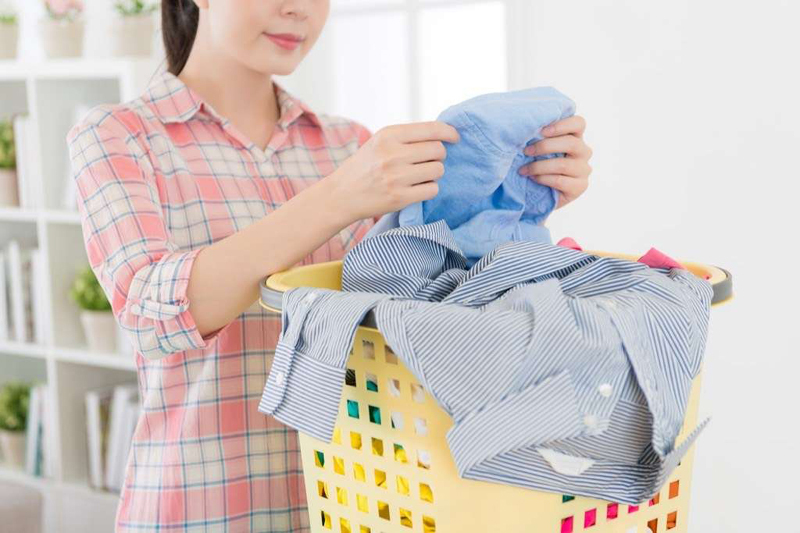 Though nothing feels better than coming home to a well-organized home, it sometimes feels like the effort required to clean and categorize isn't worth that sense of satisfaction. 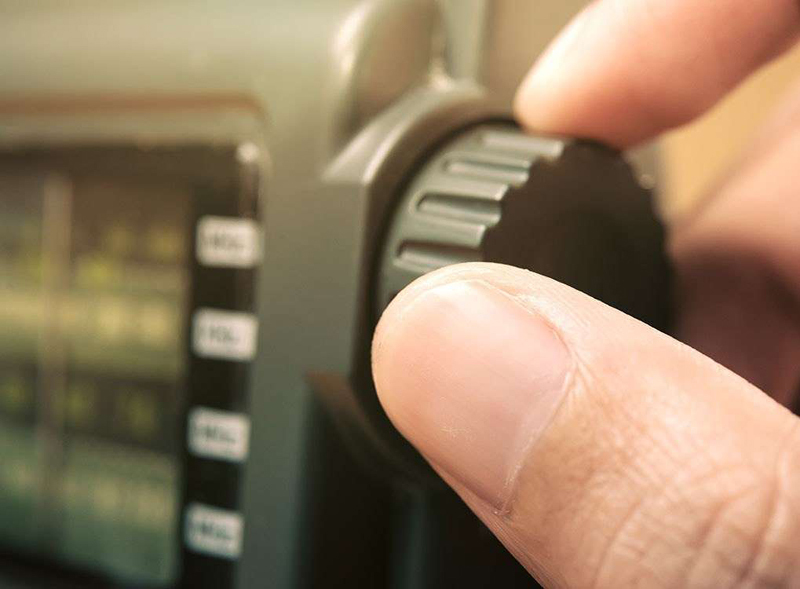 But what if there was a way to keep your home in order without spending hours upon hours? To aid you on your tidying journey, we spoke to expert organizers and interior designers to get their best home organization tips. 2. Don’t save anything for later. 3. Don’t buy things you don’t need. Santa knew what he was doing when he made that list and checked it twice. 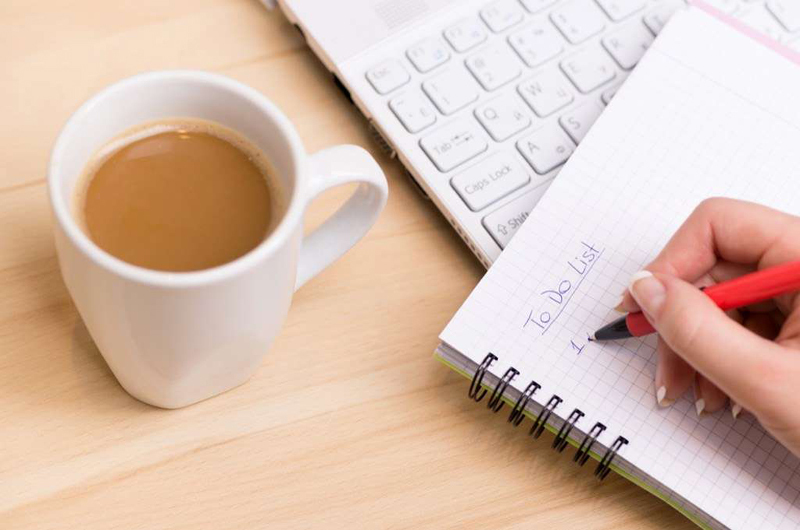 Having a weekly cleaning checklist in plain site is a great way to remind everyone in the family of the things that need to get done, notes Kait Schulhof, founder of A Clean Bee. 5. Split up cleaning duties. 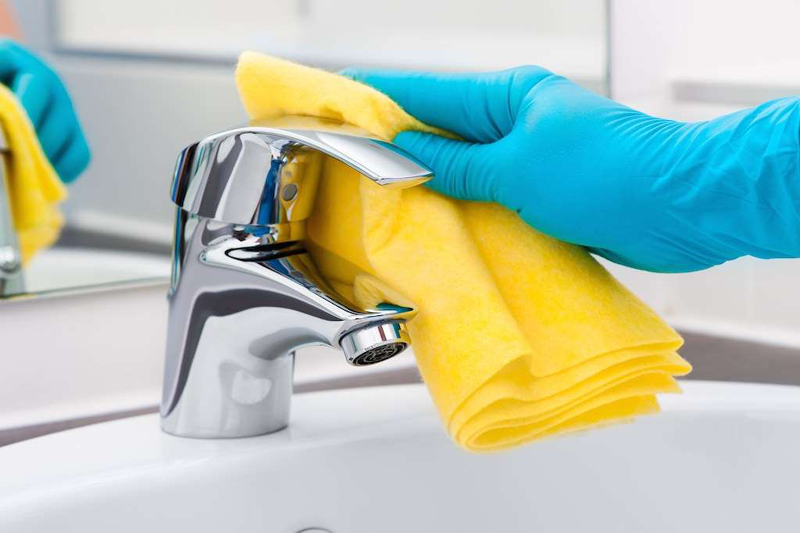 Cleaning the house is no one’s sole responsibility (unless you live alone, of course). Rather than relying on one person to keep every room in order, give everyone a specific room to tidy up so that the task is less overwhelming. 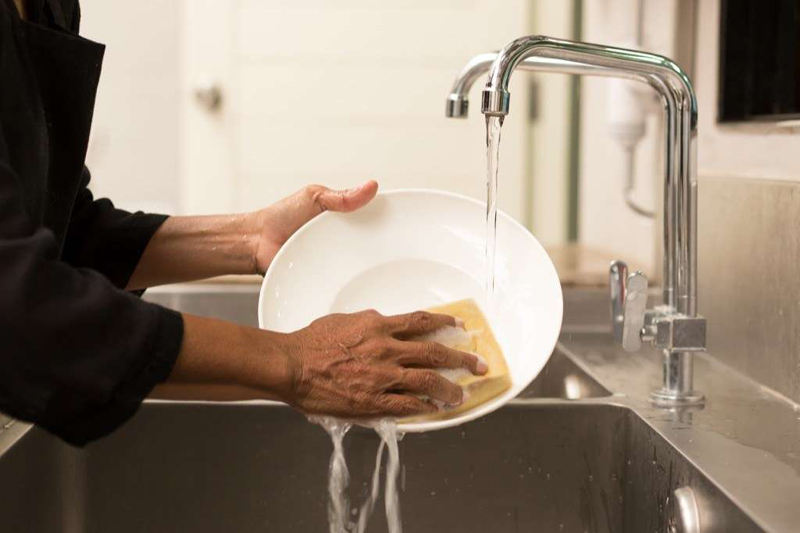 “Sharing your cleaning and purging experience with the people you share your space with will not only help the process go by faster, but it also can be a fun bonding experience and will give everyone the chance to share their opinions on how your spaces could be rearranged,” explains Lior Rachmany, founder and CEO of Dumbo Moving. 6. 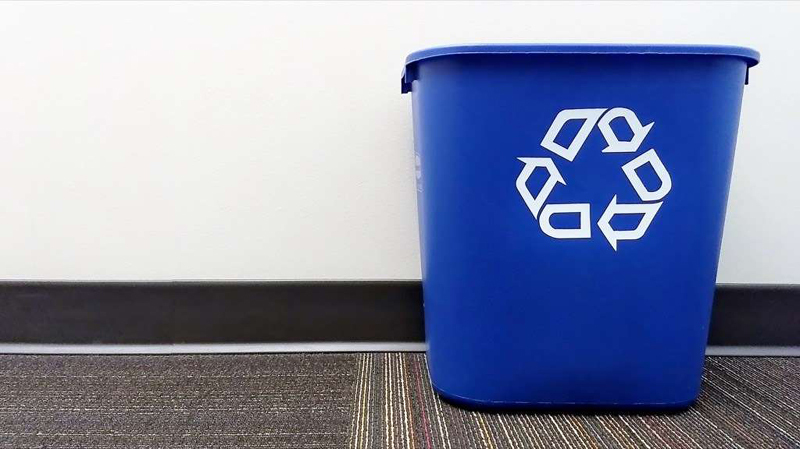 Only use bins when it makes sense. Storage bins are useful for small items, like hats and scarves. However, interior designer Roric Tobin warns that relying on them too much can make a disorganized situation worse. 7. Clean in small doses. 8. Get a Lazy Suzan for the refrigerator. 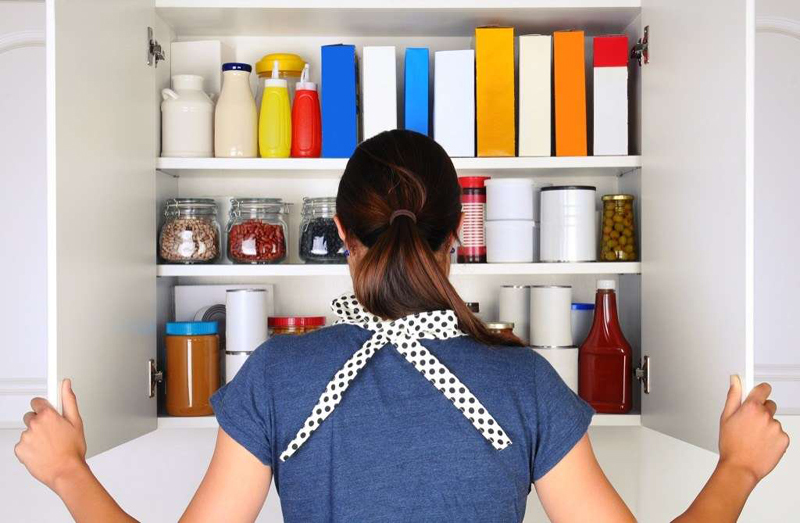 Condiments and sauces have a tendency to get lost all the way in the back of the fridge. That’s why professional organizer Nonnahs Driskill suggests putting a Lazy Susan in there and using it to hold all your jarred items. The turntable makes it easier to see and access everything you need in your fridge. 9. Store blankets on a drying rack. 10. Tackle one room at a time. 11. Get rid of the stuff you don’t use. Moving clutter around doesn’t actually make your house any cleaner. That’s why professional organizer Cynthia Alexander always has her clients begin by going through their things and deciding what they want to keep. “After the excess is cleared, it is time to see what fits and enhances the life you want to live,” she explains. 12. File everything, never stack. 13. Store items closest to where you use them. 14. Designate a spot for your keys. 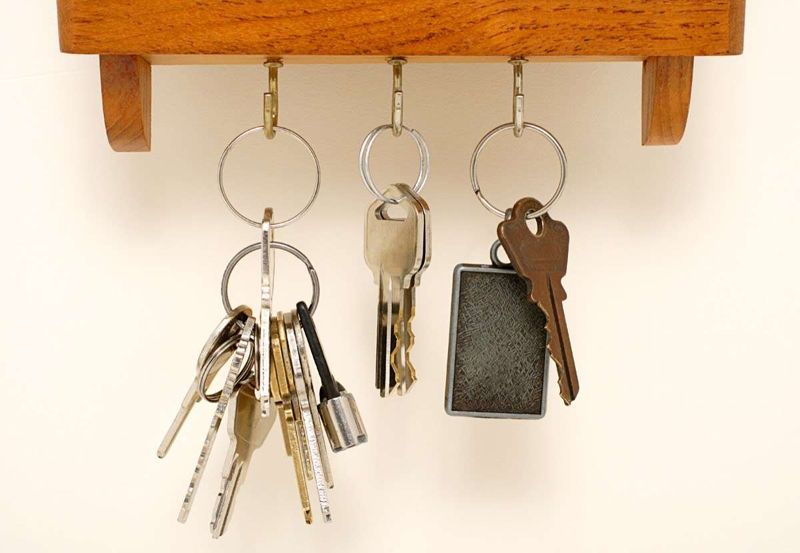 Unless you enjoy tearing your house apart every morning in search of your missing car keys, then you should invest in a hanging wall organizer where you can keep all of your keys in one place. 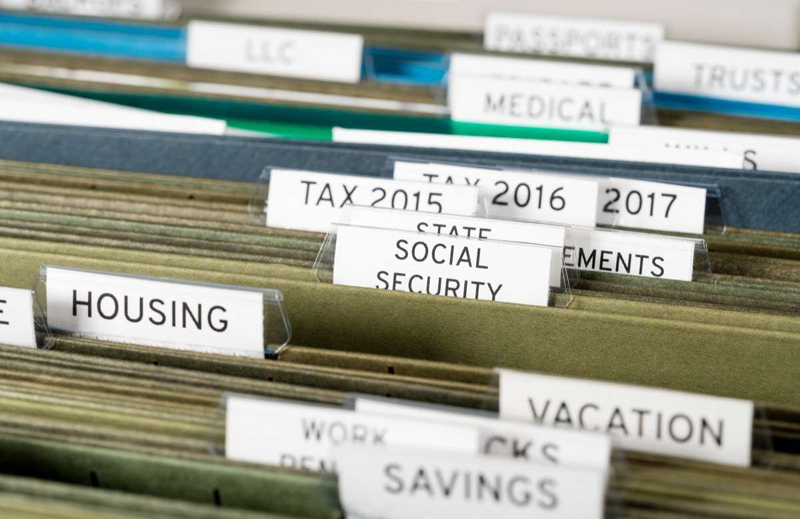 “As long as you have one designated place, you’ll always know where to find your things, and you’ll contain the clutter to one space,” explains Elsa Elbert, owner of organization company Composed Living. 15. 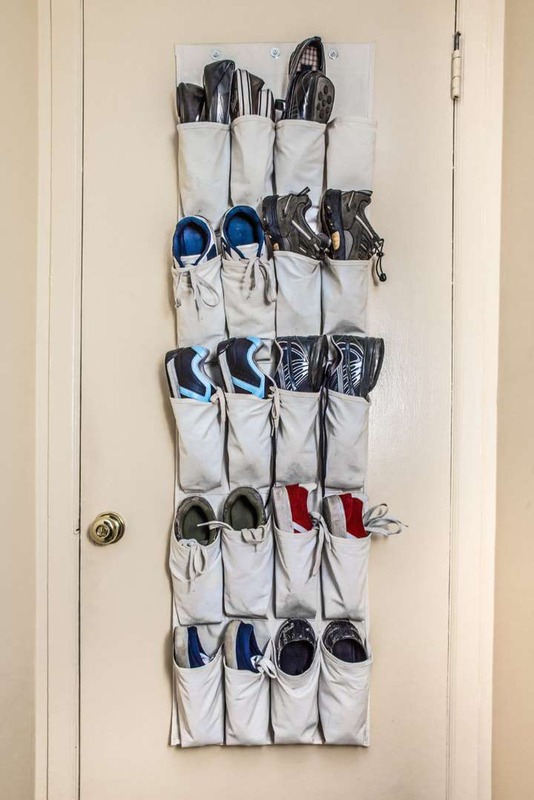 Use hanging shoe organizers for everything. Shoe organizers don’t have to be just for shoes. 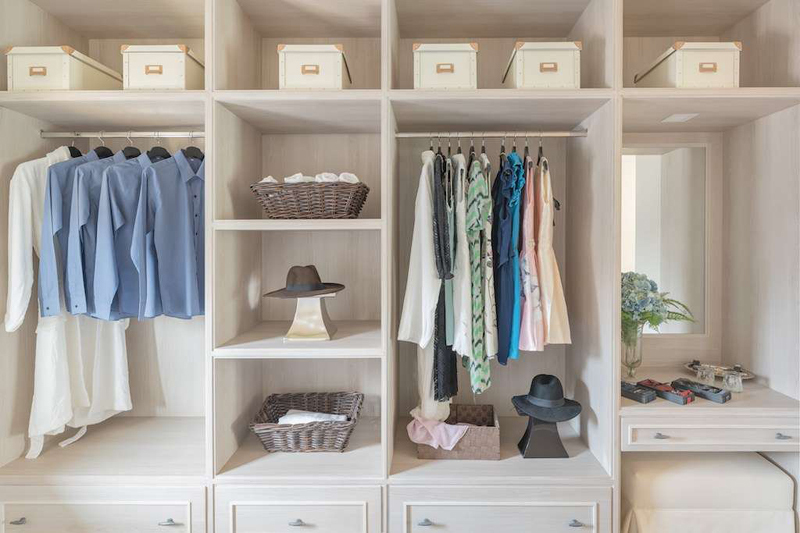 As Marty Basher, home organization expert for Modular Closets, points out, the vertical storage units can also store “all the stuff that gets lost in most closets.” Think smaller items, like socks, gloves, swimsuits, scarves, and undergarments. 16. Get rid of old cookbooks. In the age of the internet, cookbooks only add clutter to your kitchen. 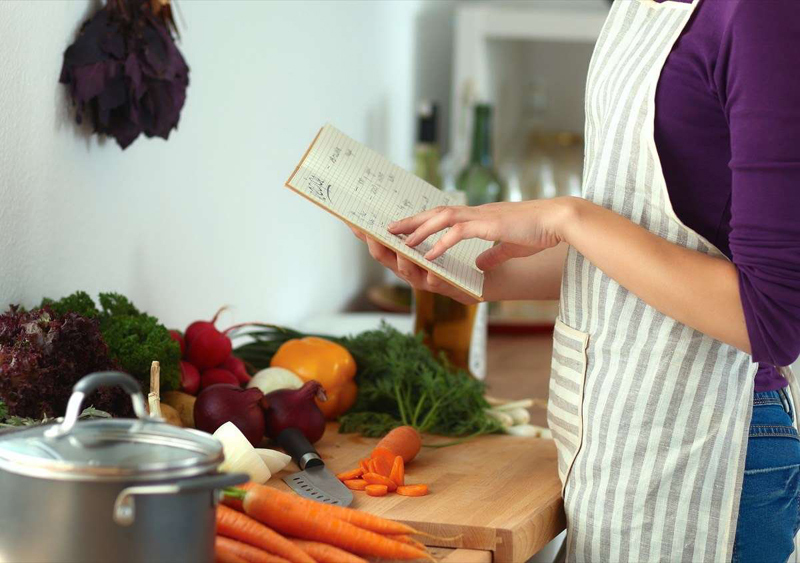 Even if you constantly find yourself using a recipe from one of Ina Garten‘s books, you can jot down or take a photo of it to continue using the recipe. Then donate the bulky cookbook to clear up precious shelf or counter space. 17. Strip your items of their packaging. The next time you come home with a giant haul of paper towels and other non-perishables, remove the packaging they came in. 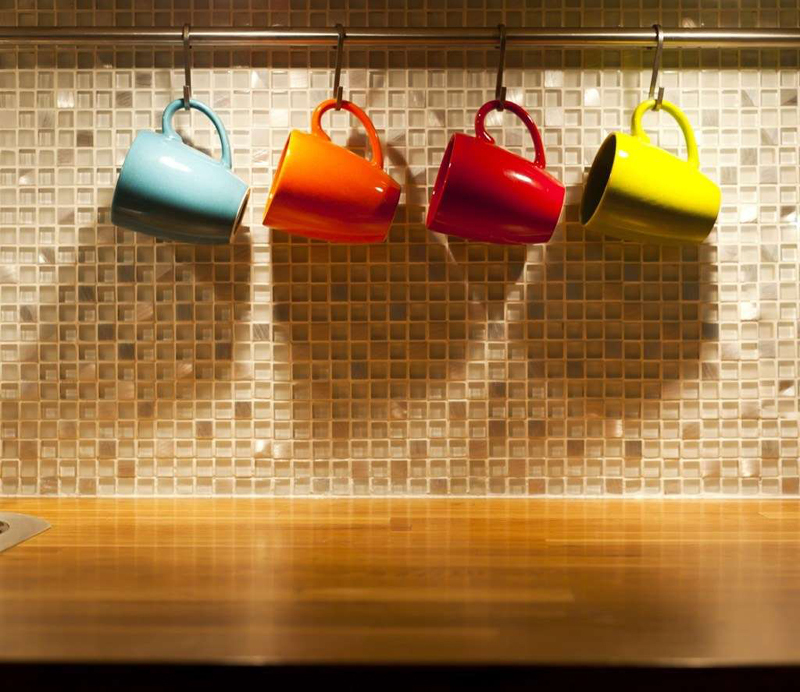 “Eliminating visual clutter creates a more streamlined, tidy look,” says Elbert. 18. Clean up immediately after cooking. 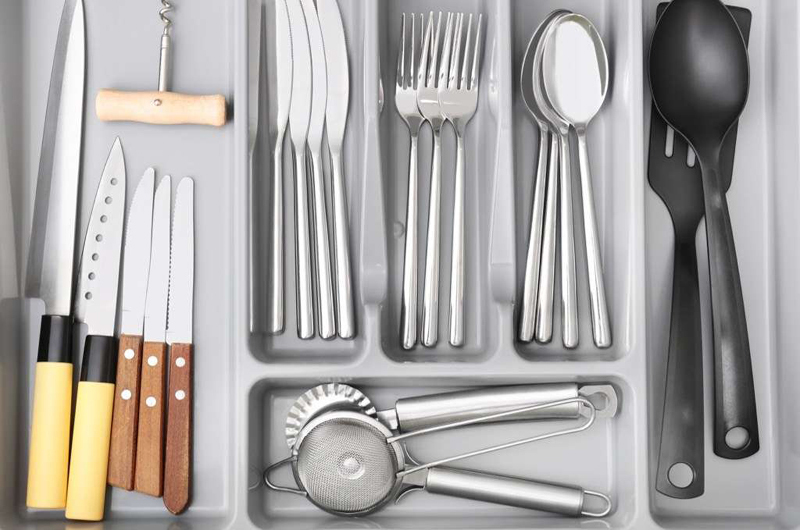 Always, always remember to put items away once you’re done using them—and yes, this applies to the dishes, too. 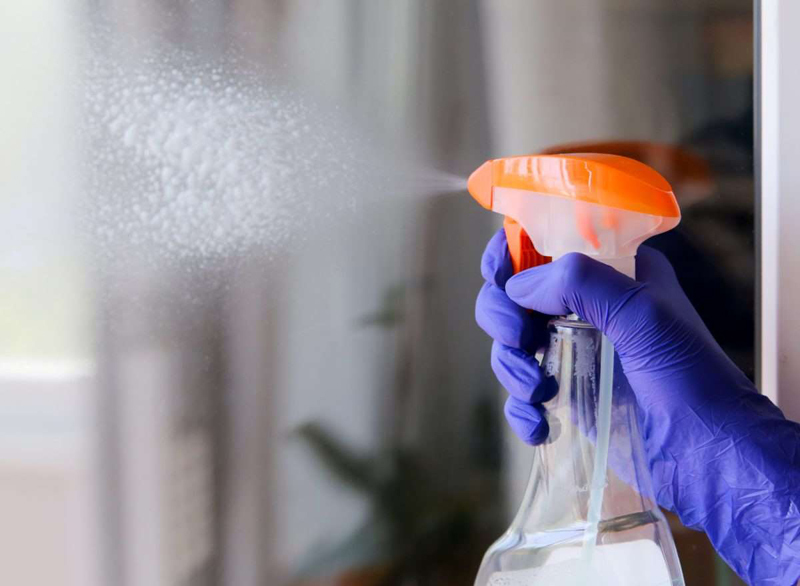 Though cleaning up immediately after exerting energy on another activity is gruesome, doing so will ensure that you aren’t stressed for the rest of the day, thinking about the tidying up you have to do. 19. Label foods by expiration date. 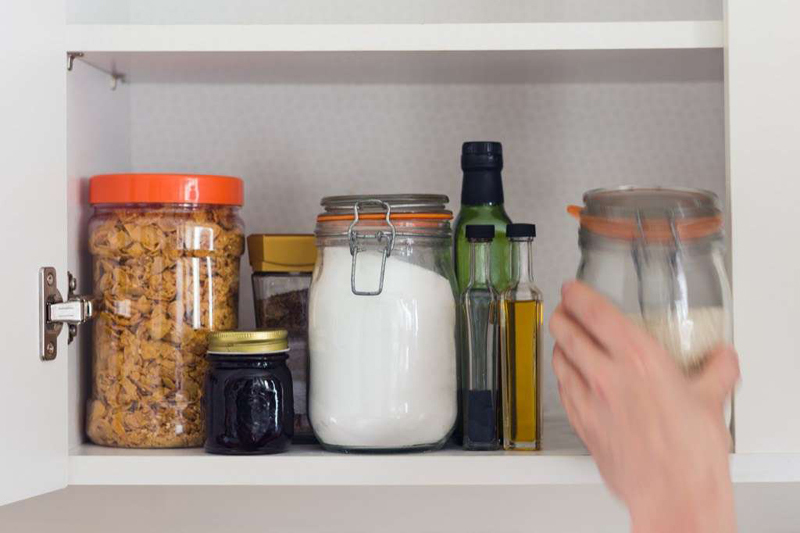 Save money and clean up the clutter by labeling and organizing the food in your fridge by expiration date. 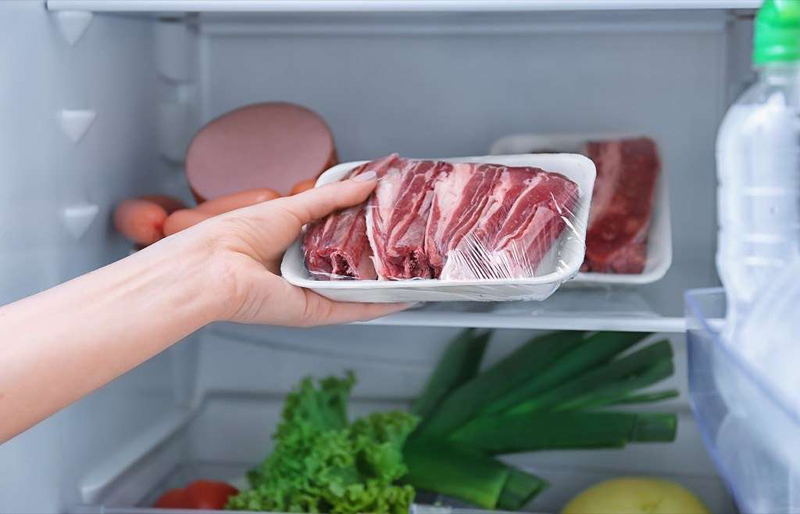 Driskill suggests using the bottom right drawer of your fridge for older items that are about to expire and the bottom left drawer for newer produce. Just make sure to label each drawer so your family knows which items to grab first! 20. Follow the rule of three. 21. 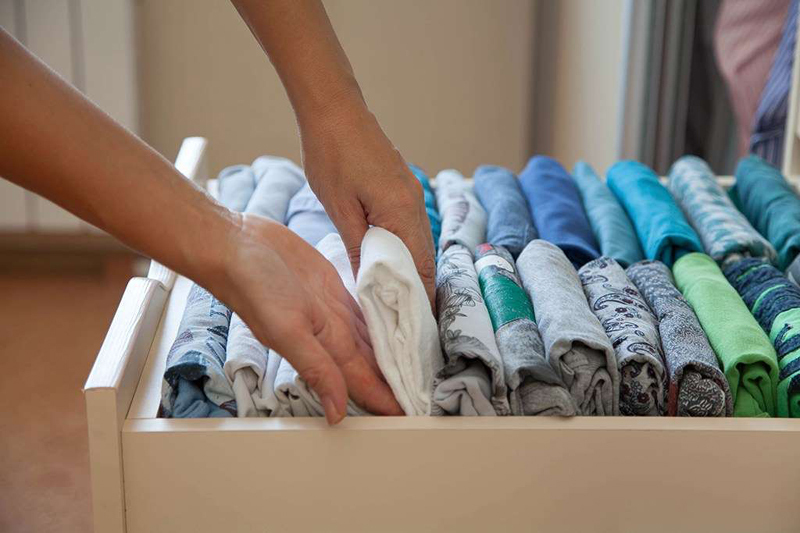 Use drawer organizers to keep small items separated. 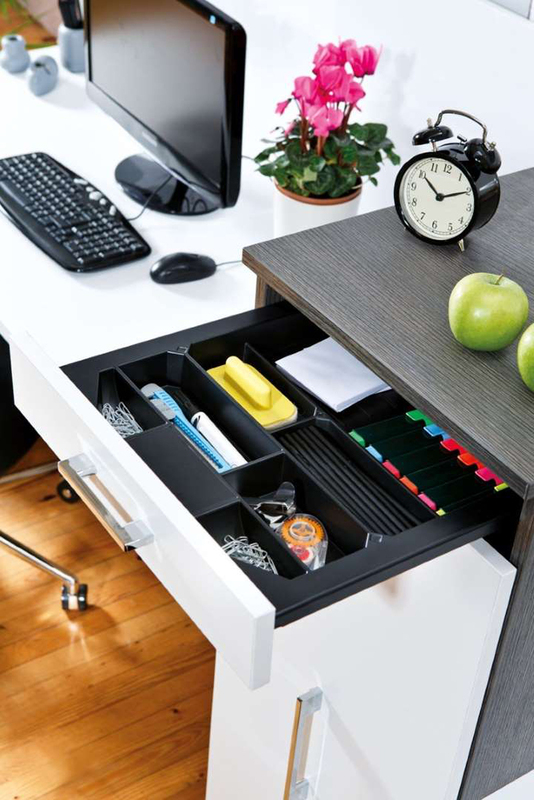 Just because people can’t see how disorganized your desk drawers are doesn’t mean that they aren’t anxiety-inducing. 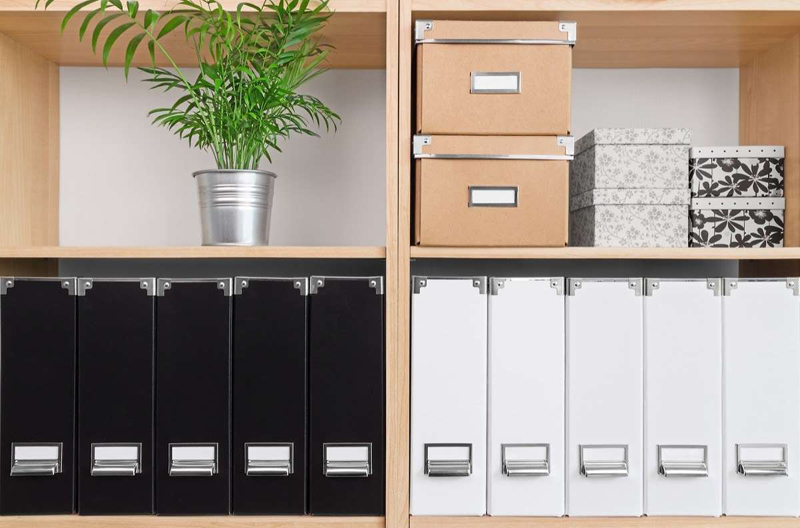 Instead of throwing your pencils, pens, and paper clips inside your top drawer and calling it a day, invest in a few inexpensive drawer organizers that will keep everything neat and separate. 22. 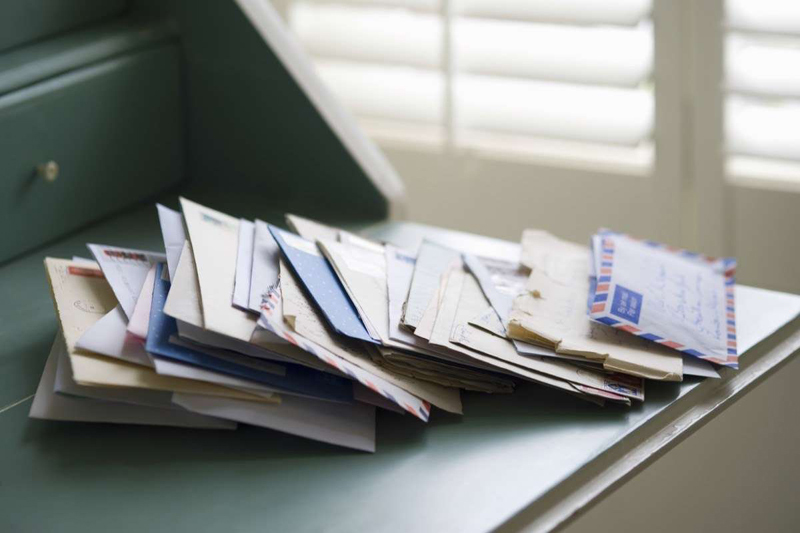 Sort through the mail every single day. 23. Store toys in a hamper. Don’t let your child’s toys take over the house. Rather, Basher recommends buying a hamper specifically for stuffed animal and game storage. 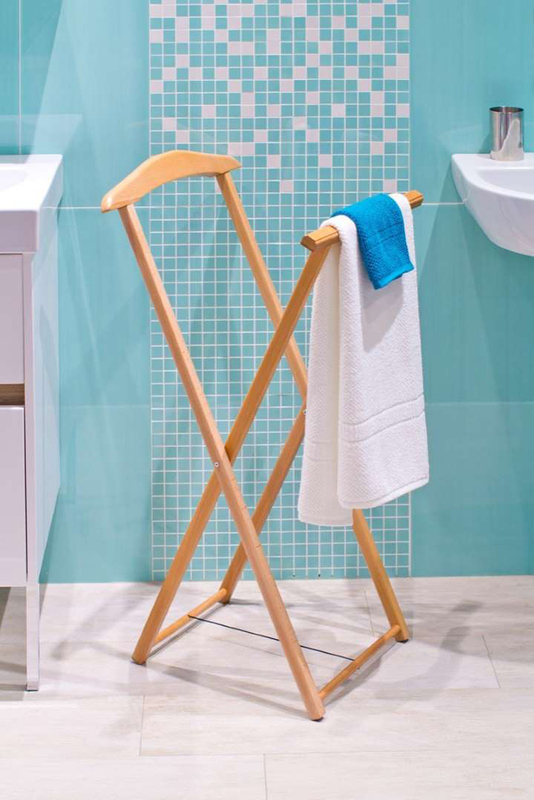 “This storage solution is easy to move, and allows your child to easily lift the hamper lid and reach inside to access a toy. 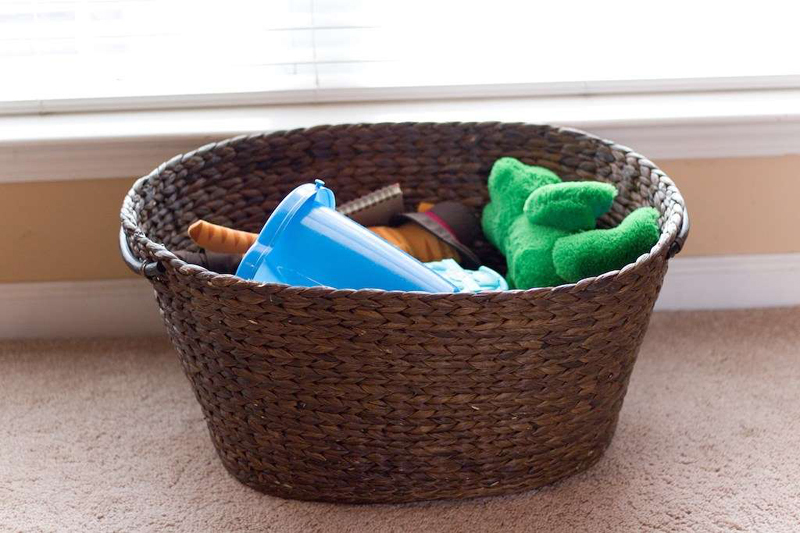 The hamper lid is also a nice way to keep toys out of sight when they’re not being used,” he notes. 24. Store like with like. With stationary stored in one drawer and stamps stored in another, it’s easy to lose track of what you own and then buy things you don’t actually need. That’s why you should always organize things according to their function. 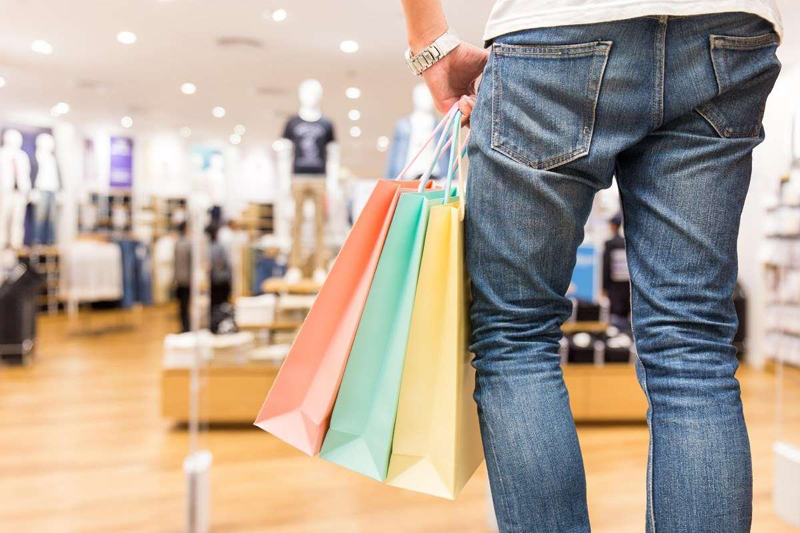 Stationary, for instance, should be stored with office supplies and wrapping paper, and candles should be stored in one place along with all of your lighters, diffusers, and other odorous items. 25. Listen to music while you clean. 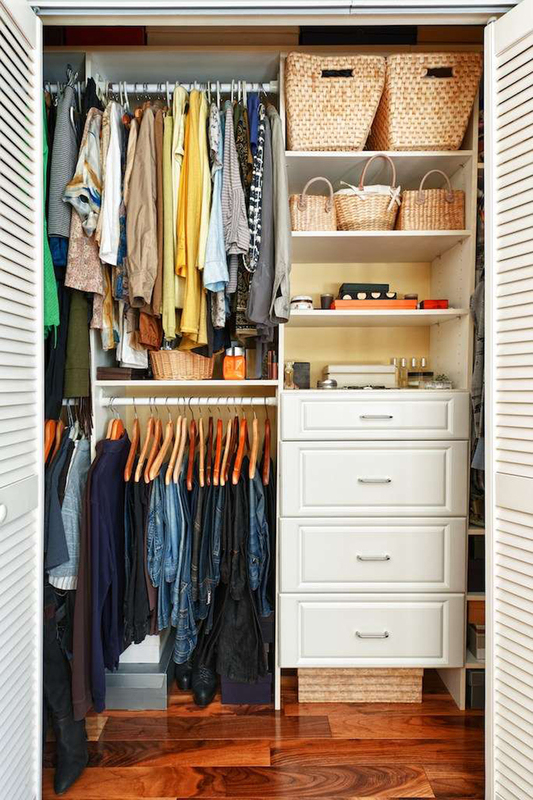 Home organization doesn’t have to feel tedious! Instead of looking at the task with dread, you can crank up your favorite tunes and approach the assignment as if it were a dance party. With your favorite playlist at full volume, you won’t even notice that you’re doing a chore. 26. Organize with a friend. 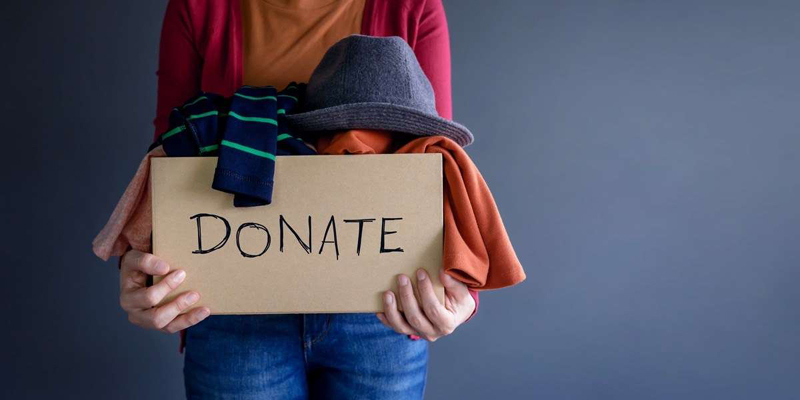 You can’t always trust yourself to decide which items in your closet you should keep and which you should donate. Someone you can trust, however, is a friend. Your pals won’t be afraid to tell you when it’s time to say goodbye to those jeans that haven’t fit in years or that dress that you haven’t worn since before you had kids. 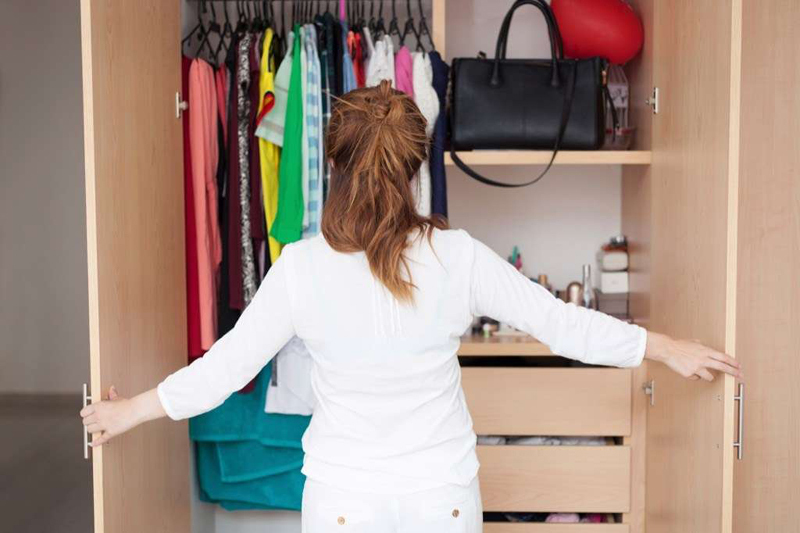 With their help, you’ll easily be able to thin out your closet and make room for the items you do need.